Busy end of school term! Let's Scrap 11-24-10. One day too late! I am hosting Let's Scrap's LAST CHALLENGE OF 2010, which actually starts tomorrow, but I am posting it now, as tonight I need to do grocery shopping (I've had a BAD cold this week and have nothing left in the fridge!!!!!) and go to bed early, as tomorrow morning we are driving to Asa Wright Nature Centre in the North of Trinidad. Given that this island has the most variety of birds in the Caribbean, people say this place is amazing, you can see a huge number of species in just one day! If I can judge from the many different animals I see in my garden, this should be great. Lots of photo ops, I'm sure! I'll be waiting to see your work! But if you feel too stressed and exhausted to scrap after the holidays, you can get a chance to win the same prize just by leaving a comment below (or do both things and get two chances!). 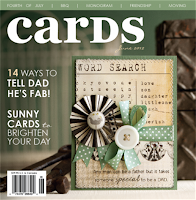 It would be great if you could mention this giveaway in your blog, too. It has lots of detail, and it took me quite a long time (I'm a sloooooooooooow scrapper), but I like the result and I can't believe I have already scrapped this year's Christmas photos! Beautiful pages Caro!! Happy New Year's my friend. Wishing you all the best in 2011! Love your layout Carolina it has so many fun embellishments on it. I hope that the New Year brings you good health, love and happiness. What a generous giveaway. Wishing you a very happy and creative year ahead ! ........|000|... per un anno magico. i love your festive page!! 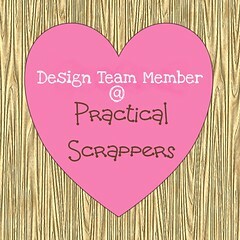 i am attempting to do your challenge this week, as one of my resolutions is to get more scrappin' done!! Caro I want to post about your giveaway on my blog but just wanted to check. Do you have two separate prizes (of the same items), one for the challenge on Let's Scrap and one for the comments here? Or is it the one prize for both. 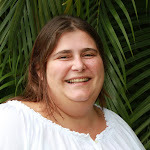 Hi, Betty Anne, I'm sorry, I replied to your e-mail as soon as you sent it, but I did it from my I-pod, and some of my I-pod e-mails have gone missing, I guess I am too anxious and don't wait enough for the message to be sent before I move on to another application. Yes, there are two prizes, one for Let's Scrap posters, and one for people who comment here, and, of course, you can do both things!!!!!!!! This is adorable. WOW!!! This years pics are already scrapped. I just ordered mine from snapfish with 450 other prints so it might take me a while to get where you are....lol. Your LO is beautifuL! I love all of the details and how you mixed some manufacturers! Great challenge! I will definitely work on this! Thanks for the fun contest and generous give-away. I have become a follower and posted the contest and give-away in the sidebar of my blog. I hope I can get to the challenge. And fantastic giveaway! Happy New Year Carolina!!! I don't have a challenge completed, but I did become a new follower! :0) Thanks for the giveaway and I just love your L.O. Very cool! http://lv2scrapandfibrofacts.blogspot.com/ Please come by my blog if you have a chance. I love new friends! I love the layout! It's so cute! 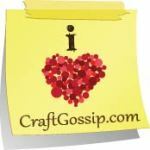 I spread the word about your candy in my blog (sidebar) - Will be happy to see you there! Fantastic giveaway!! Wishing you all the best in 2011! Wishing you all the best in 2011......Your layout is beautiful and what an amazing candy. Thank you for the chance to win. I am a follower and put your candy on my blog's sidebar. Just found your blog. The layout is beautiful. I haven't begun scrapping yet. Hope to someday. Wow, what an awesome giveaway! I would love to win some blog candy, pick me, pick me. I love your layout and am just blown away by the fact that you have already scrapped XMAS this year! I think I am somewhere in 2008...LOL. I'm off to complete your great challenge at Lets Scrap. Happy New Year! Wow, what an awesome giveaway! I would love to win this awesome candy, pick me, pick me! Your layout is super cute. I am in awe that you have already scrapped this XMAS. I think I'm somewhere in 2008! LOL I'm off to complete your great challenge at Let's Scrap. Happy New Year! I like all your little figures in the decoration of the pages you made! Amazing job, I love 2 page LOs - and congrats on getting some Christmas pics scrapped! Thank you so much for the easy-peasy contest, I am so exhausted! Love your LO, Happy New Year! 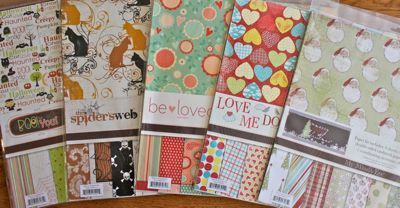 I've post a lo at Let's Scrap for your challenge... Love the papers we can win.. I've post my lo at Let's Scrap for your challenge.. I want to participate! I have actually made a double - LO with a sketch from Let's Scrap - but now I don't know WHERE to post it? 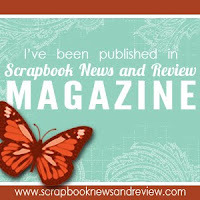 On my blog or on Let's Scrap or here?? I'll keep on looking and hope somebody leaves me a comment during the day! Wonderful layout Carolina! Thanks for doubling up the prize for those who couldn't get to your challenge on time. I hope you are feeling better by now! Thank you for the fun challenge over at let's Scrap.